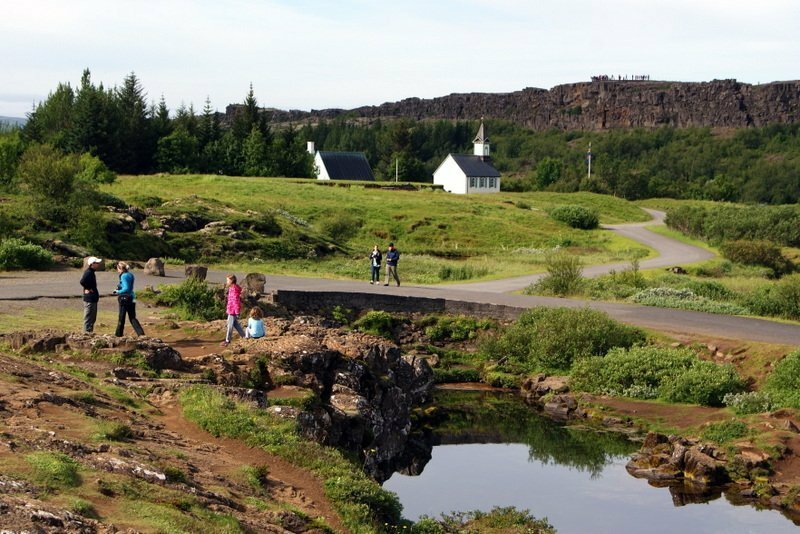 We start our adventure in Iceland with a 1-2 hour hike at the ancient Viking Parliament area and UNESCO world heritage site of Þingvellir National Park. 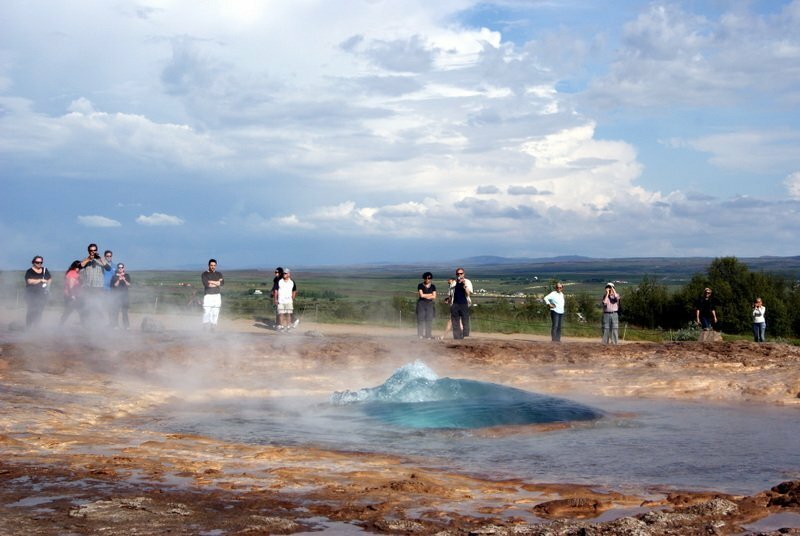 We visit the active geothermal area of Geysir, where we can see Strokkur “the churn” spout up to 25 meters (70 feet) every five to seven minutes and explore Gullfoss, the beautiful double “Golden Falls”. We continue to the “Secret Lagoon”, a natural hot spring in a small village called Flúðir, where you can get a true Icelandic bathing experience. The surroundings of the geothermal pools and its steam rising into the air give a magical feeling to the place. 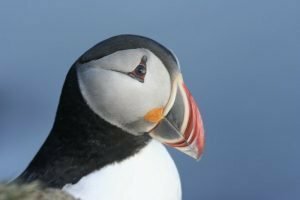 We stay 3 nights in South Iceland. Today we drive to Landmannalaugar, an oasis in the barren highlands, surrounded by colourful rhyolite mountains. Depending on fitness level and hiking experience of group members and subject to weather conditions, we hike from the hut in Landmannalaugar. 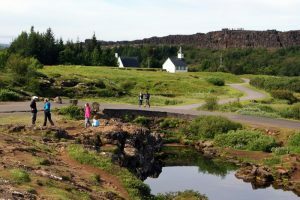 The trail goes through a rough lava field to an amazing hot spring field and up the slopes of Brennisteinsalda with its incredible spectrum of colours. We return via Grænagil gorge that can only be described as simply spectacular and beautifully colourful. 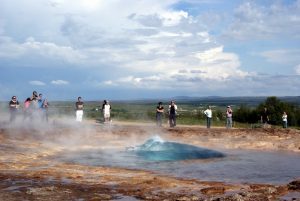 In Landmannalaugar there is also a natural geothermal stream where you can enjoy a refreshing bath. Have swimwear and towel ready. We continue our trip passing close to Hekla, one of Iceland’s most active volcanoes. On the way back to our accommodation we stop at the beautiful waterfall Hjálparfoss in Þjórsárdalur valley, surrounded by extraordinary basalt rock formations. We start the day at the high but narrow Seljalandsfoss waterfall and continue to Þórsmörk, a wide valley named after Thor, the Viking God of Thunder. This beautiful valley is surrounded on three sides by steep mountains and glaciers. Fording raging glacial rivers and gentle streams is a big part of the great adventure. The landscape is dramatic with Eyjafjallajökull volcano towering on one side and the massive glacial river Markarfljót flowing on the other. 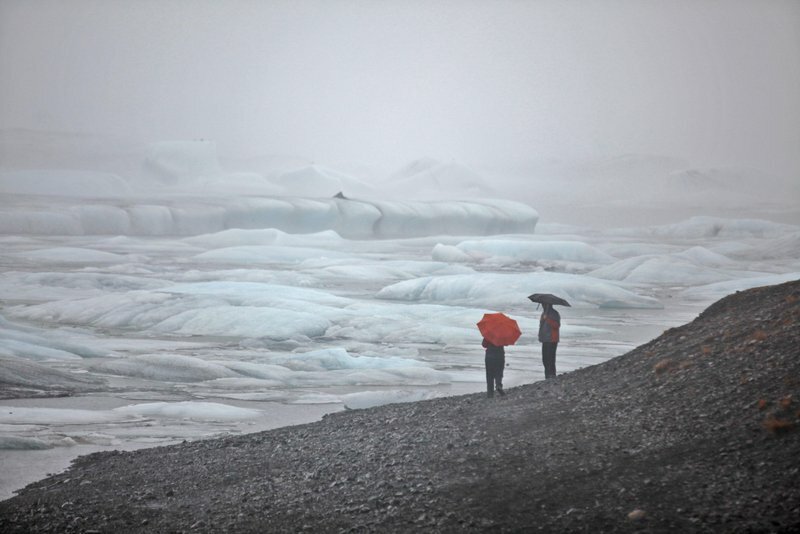 We walk to explore the aftermath of the immense fast flowing flood, caused by the eruption of Eyjafjallajökull in April 2010, which destroyed a glacial lagoon and left a blackened area. 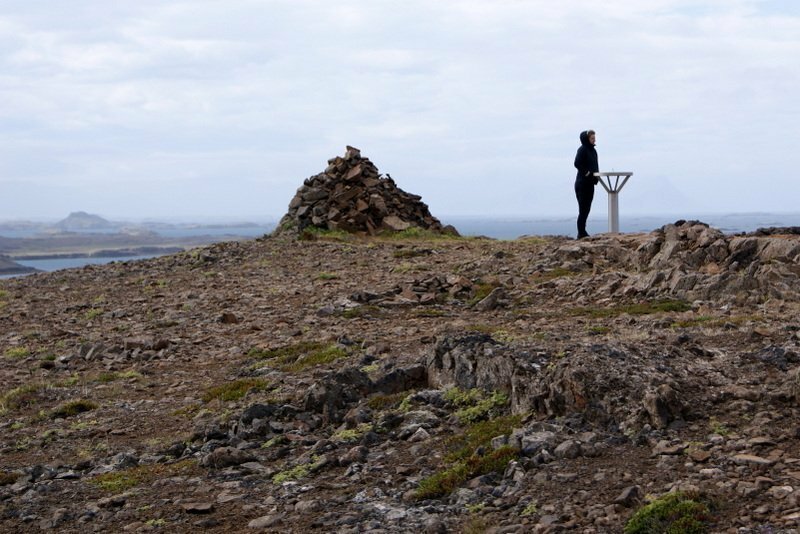 Þórsmörk is one of the most popular hiking areas in Iceland and it is breathtaking to stand on top of the many hills and mountains in this region. There are many different hiking options. 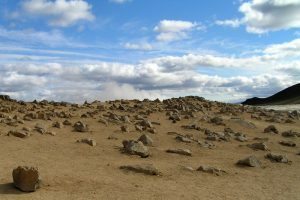 We select the trails according to the weather and the fitness of the group. If everybody is ready for a 4-5 hours long challenging hike and a maximum of 800 meters ascend, we might be able to enjoy jaw dropping views. 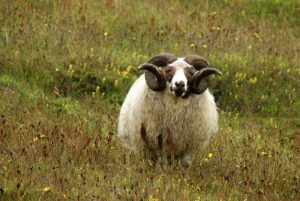 You see the rumored Icelandic highlands at its best – volcanoes, glaciers, high mountains, glacier made valleys and canyons, glacier rivers, lava fields and many more gems that the Icelandic nature holds captured. We travel along the south coast of Iceland towards Kirkjubæjarklaustur and into the highlands. 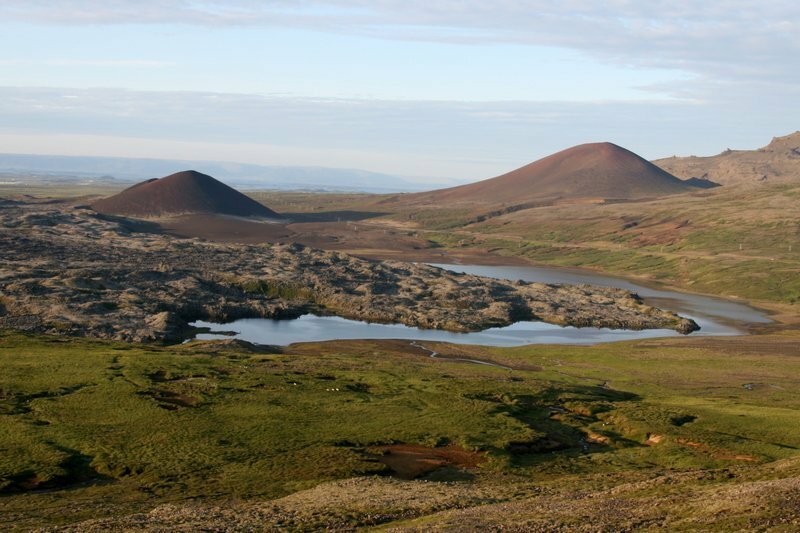 The craters in Laki, called Lakagígar, were formed in one of the world’s largest mixed eruptions in recorded history. 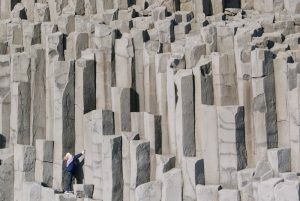 This continuous series of eruptions emitted a vast quantity of lava and substantial amounts of volcanic ash from a fissure stretching 25 km across the area west of the Vatnajökull ice cap. The craters are regarded as a globally unique phenomenon and are a protected natural monument. Laki is a very remote location and one of the most unique places within the Vatnajökull National Park. It is however a very fragile area so visitors are asked to treat the nature with utmost respect. There are numbers of hiking trails and we explore this volcanic wonderland during a 1,5-2 hour hike. We also visit Fagrifoss which means “beautiful waterfall” in Icelandic, and the name isn’t a bad match. An easy climb leads to the view of the impressive waterfall and you can only hear the roar of the water. We stay for 2 nights at the simple but well located Hotel Skaftafell, next to Europe‘s largest glacier and beneath Iceland‘s highest mountain. This is a day packed with fun activities and breathtaking sceneries. We start with a moderate 3,5 hour glacier hike in the majestic surroundings of Svínafellsjökull. The glacier is hemmed in by some of Iceland´s most spectacular peaks. We climb the Svínafellsjökull glacier tongue up to the deep glacier valley between the summits of Hvannadalshnjúkur and Hrútsfjall. An experienced glacier guide leads you safely through the glacial wonderland of strangely shaped ridges, deep crevasses, huge water cauldrons and different ice formations. In the afternoon we head over to the famous glacier lagoon for a ride on a Zodiac adventure cruise, sailing between the icebergs of all shapes and sizes, which float in the clear blue water. After the Zodiac experience there is time to go down to the black sand beach to take a closer look at the icebergs that have floated all the way from the glacier lagoon into the Atlantic Ocean. Skaftafell is today a part of the Vatnajökull National Park, the largest national park in Europe. 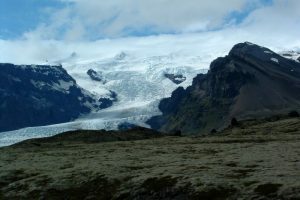 The area nestles under the slopes of Vatnajökull, Europe’s largest glacier and is dominated by Iceland’s highest peak Mount Hvannadalshnjúkur (2,110 meters). 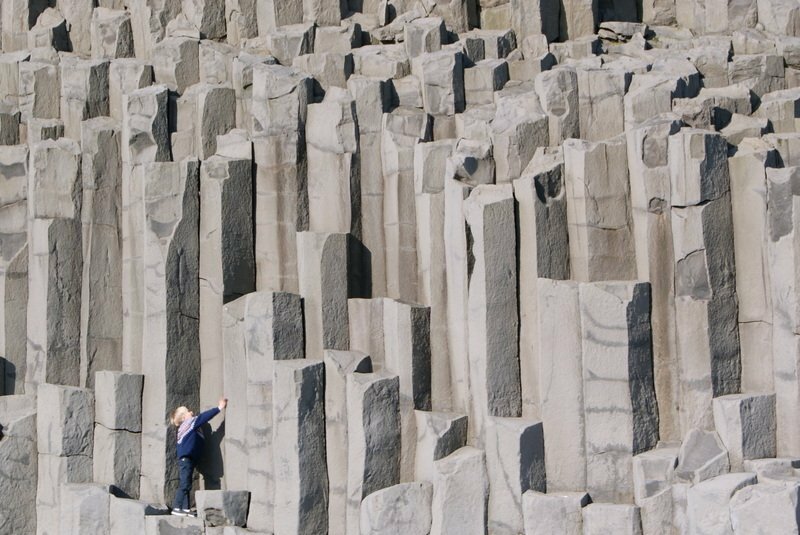 This area used to be one of the most isolated communities in Iceland because of the ice cap on its north, the harbourless sandy beach of the Atlantic Ocean to the south and the wild glacial rivers in the barren sands to the east and the west. 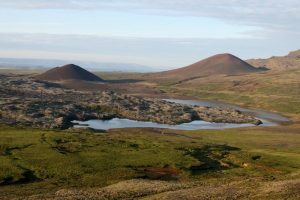 The landscape has been formed through thousands of years by different influences of fire, ice and water and the mild climate is characteristic for Skaftafell compared to the rest of southern Iceland. We hike up to the waterfall Svartifoss (Black Fall), which is surrounded by black basalt columns, and from there to Sjónsker (View Cliff) where we have a magnificent view of Mount Hvannadalshnjúkur and the area that was flooded during an eruption under the ice cap in the year 1996. Now it is time to return towards Reykjavík. We cross the sandy desert of the south coast, overlooked by mountainous cliffs, glaciers and waterfalls. We stroll along the black lava beach and bird cliffs near the village of Vík and stop at Skógafoss waterfall before arriving back at Iceland’s capital.